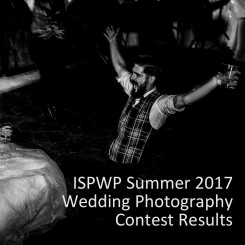 The ISPWP members were presented with a challenge: What was their favorite wedding photo for 2016? 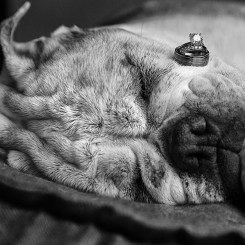 We asked them to show us ONE image that defined their work for the entire year. 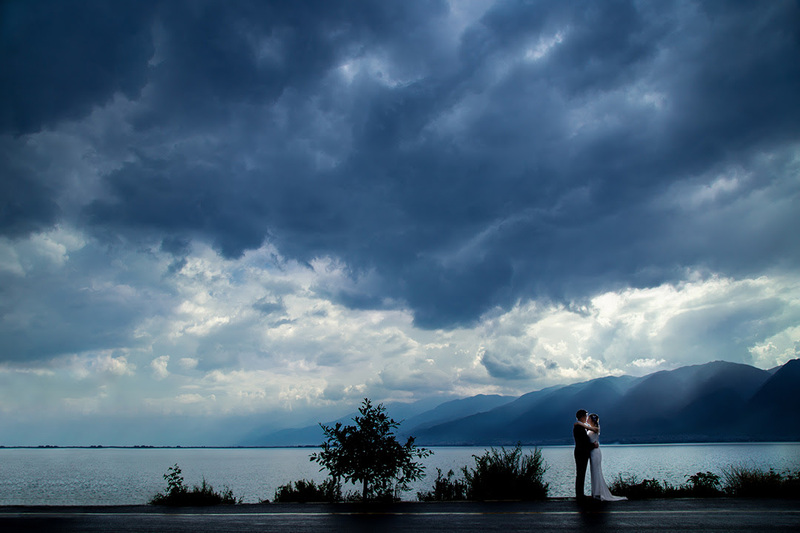 It is hard enough to cull down the final selection of wedding images for a client, it is almost impossible to select just one favorite image for a year. Some of the selections may surprise you. Some photographers selected an image, not because it was an amazingly artistic and creative image, but because there was some other deeper meaning or situation that made that photo important to them. Be sure to read their descriptions to learn more about why these photos were selected. As Photographers coming from a background of Architecture, seeking for composition perfection and symmetry is a challenge, especially in a crowded environment. This photo was taken at the rooftop pool at the Norman TLV hotel, while all guests are around swimming and sunbathing. 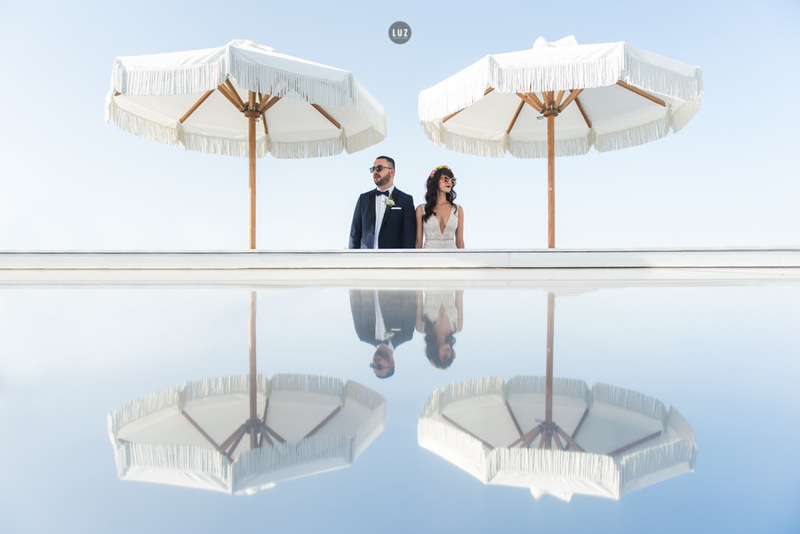 The right angle and the use of reflections (from one of the surfaces at the area) gave us the perfect isolation of the couple. We see this shot as the essence of our style and way of work and one of the best of 2016. I find that these pictures are very cinematic. They remind me of a scene from an old Italian movie. I love the natural expressions and the dynamics. The final result is very warm and gratifying, despite the unpleasant weather conditions that we had to face on that day. It was a chilly rainy day in October, my camera and I were drenched by rain and it was quite challenging to shoot the wedding, but the result is impressive and satisfying. 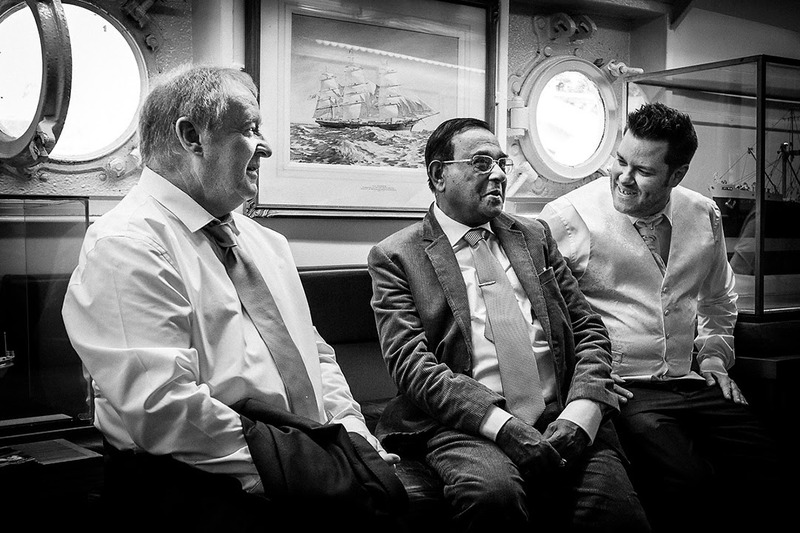 I select this image of a groom, his father, and father-in-law. Maybe an image that may never win an award, or be praised for originality, creativity, or general WOW, yet it holds significance to 2016 more than any other I took. The groom happened to be a personal friend from way back when I first started studying photography. That day I had the pleasure of meeting his family for the first time. Sadly, the groom's father unexpectedly passed away a month following the wedding. The photos I took on that day were the last taken of this lovely man. I know this image will be treasured. It reminds me of the important role we have as photographers and the meaning of what the images we take potentially hold to our clients. We may take photos of a day, but they are photos for a lifetime. This is from an intimate wedding in 2016. The Bay Area couple and a handful of their close friends and family from Ohio went on a cable car tour around San Francisco. The last stop was one of their favorite spots in the city where they got some refreshments. I love the calmness and subtle sweetness this photo brings. 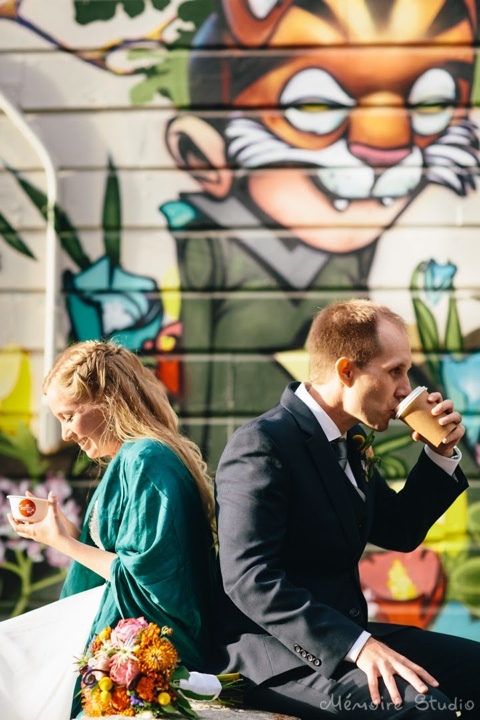 The bride and the groom are not even facing each other, but they are sharing a quiet moment doing their favorite things - her having Smitten ice cream and him sipping on a cup of Blue Bottle coffee. The challenge of taking this picture was where to place them while they eat/drink and not be too cheesy. Also, Hayes Valley has a lot of interesting art that can make it even more interesting, but it is always full of people. Thanks to this beautiful, adventurous and really in love couple I got my inspiration. My life and my job is based on challenges. To take this amazing picture I had to overcome my fear of heights and shoot this unforgettable moment. Love doesn't know limits, spaces and height...They are the only explanation of it! 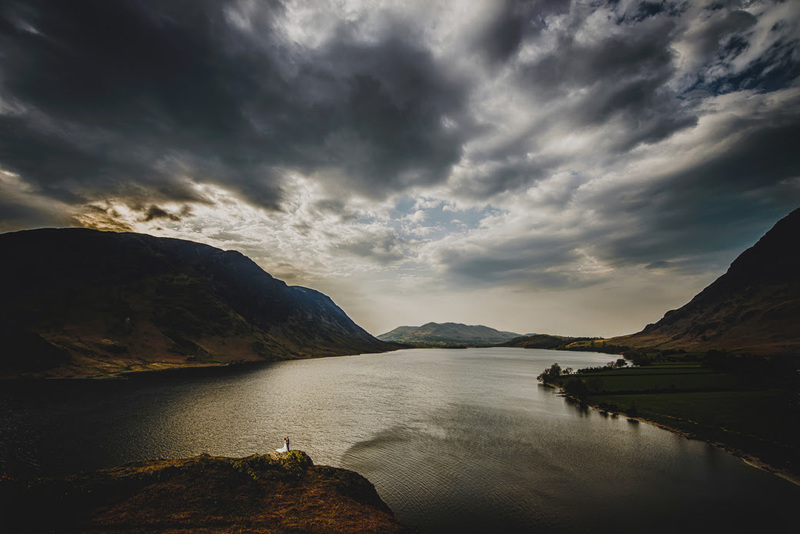 As soon as I knew the couple had booked their venue at the English Lake District I knew I had to capture the essence of this majestic and breath-taking National park. The challenge was clear, get the bride (with big white wedding dress!) 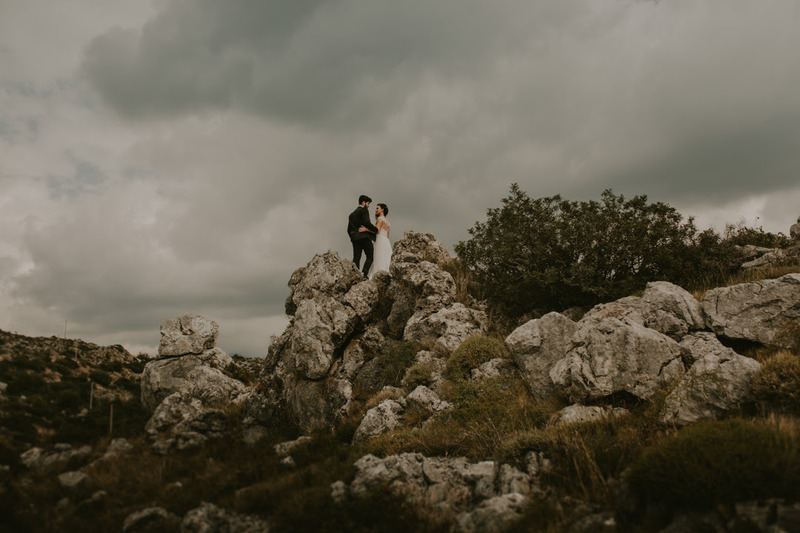 and groom up a mountain, two miles from the venue, right in the middle of their drinks reception. Luckily I had the foresight to prep my plans to them, which they loved. Fortunately the bride brought her rubber boots for the trek up the hillside, bit better than high heels! Once at the top, all I had to do was capture this scene and light them from 150 metres away. 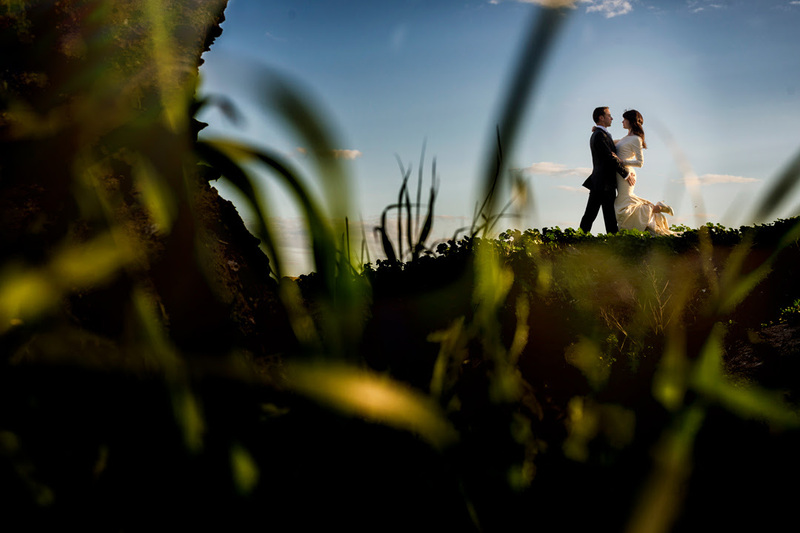 The final image was shot with a 14mm lens from a high vantage point whilst the bride and groom were enjoying some time alone. The wind added another dimension as it lifted the dress and created patterns on the lake. All in all a perfect shoot with an equally successful set of portrait images. I am especially attached to this picture because of the special people and conditions that are in it. This summer I had the pleasure to photograph this lovely couple in London. 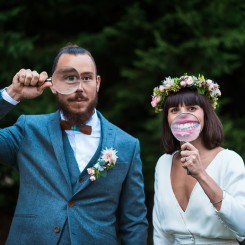 Their wedding day was wonderful, full of emotions and fun. We programmed the day after for a photo session. It was so much fun to have as my lovely assistants the mother and father of the bride. 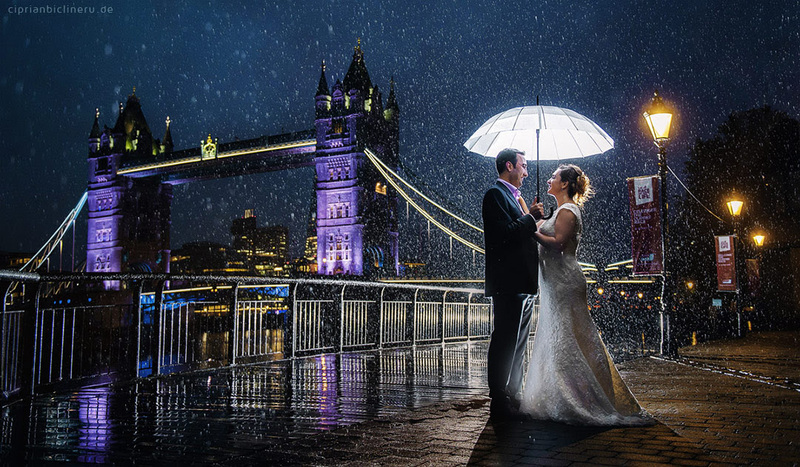 They helped me as much as they could and boy, they did a terrific job, even though it was pouring rain and they weren't prepared for such bad London weather. In the end we didn't have so many photos as we hoped for but we have a few special including this one. I had 7 minutes for portraits during this very amazing but hectic wedding in the desert outside of Marrakesh, Morocco. The day ran late and my time for portraits got eaten up. Well, when you are in the desert and the sun sets, it goes black, like pitch black. I was working my fastest to be able to shoot at least 3-4 rolls of film during those 7 minutes and I was so pleased to see how the images turned out. This one sticks out and pretty much sums up all I want in a photo. My favourite from 2016, for sure! 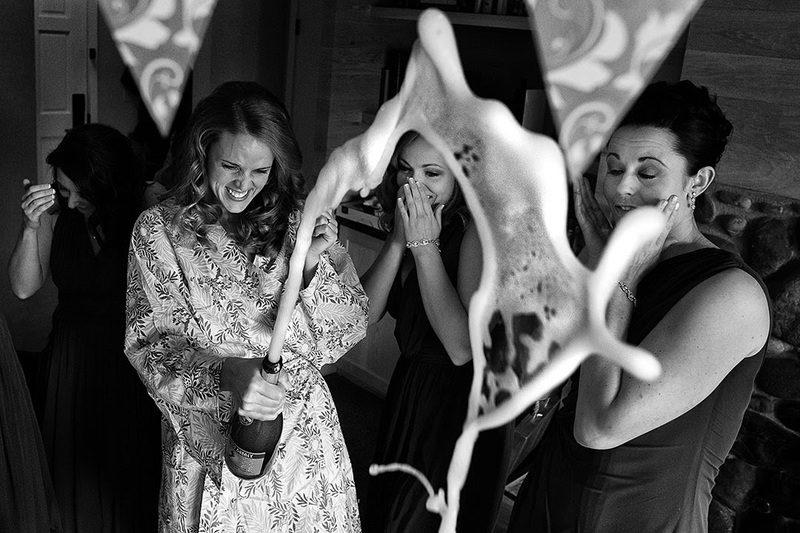 It all came together in this image: the right anticipation and technical skills plus a little help from the champagne to perfectly frame the girls. 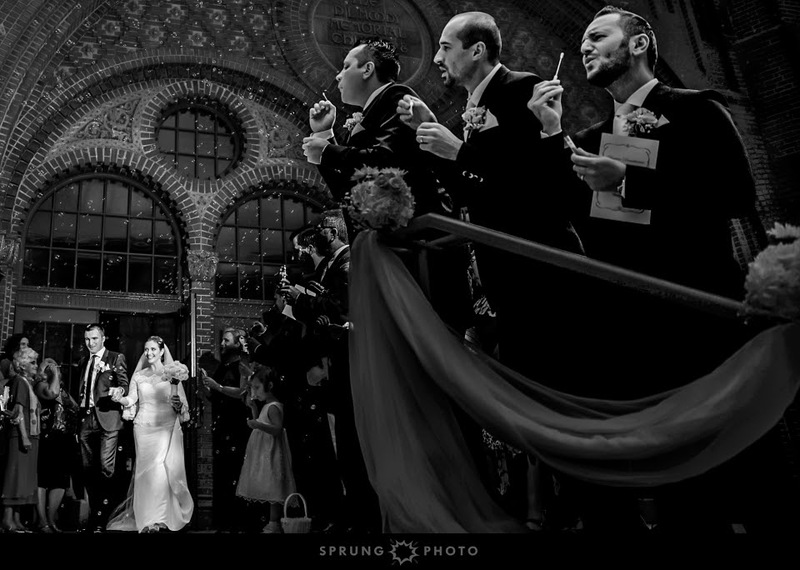 I love it because it depicts a spontaneously documented authentic moment from the wedding day. I love their reactions, I love the path of the champagne. It is just pure fun. This is probably my favourite wedding photo taken in 2016 due to the situation. 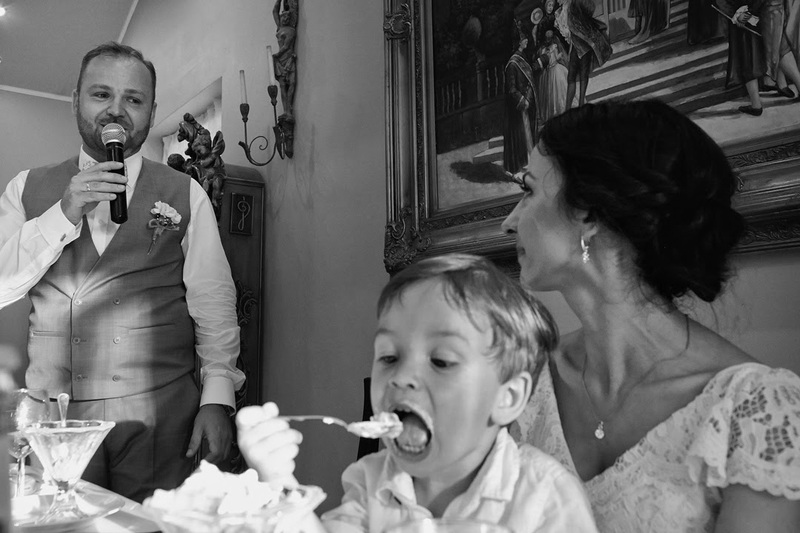 Regardless of how solemn the groom's speech about his bride might have been, others, in the meantime, couldn't resist the temptation to focus on a yummy treat instead. This image represents to me the first time I tried to do something different than the standard wedding dress shots I have done. I wanted to really tell a story, to show the bond between a bride and her dress. I wanted it to be unique. So I took my time in setting up this image and then to process it to finish telling the story I wanted. It has been a very successful image for me and have won several awards so far. I'm very proud of it and it marks the beginning of a new chapter in my work. Emotions and moment are the most important pieces in a meaningful photograph. The Rabbi had just lost his father in a terrible accident and that there was some doubt whether he'd be able to perform the ceremony. The bride's family is very close to him so it meant a lot to them that he chose to perform the ceremony despite his grief. 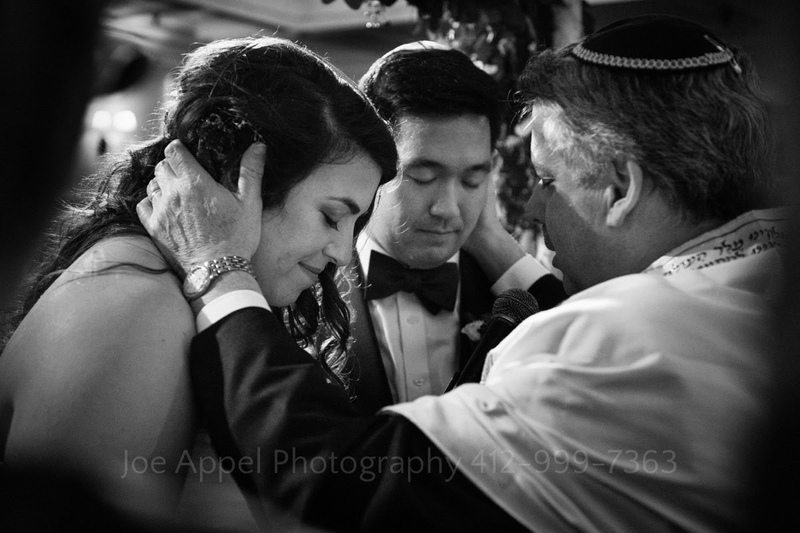 I knew that I had to be up close, but the room was arranged in such a way that the chuppah was up against a wall. With very little room to move, I squeezed myself in between the maid of honor and the ketubah so that I could be where I needed to be for the photo. 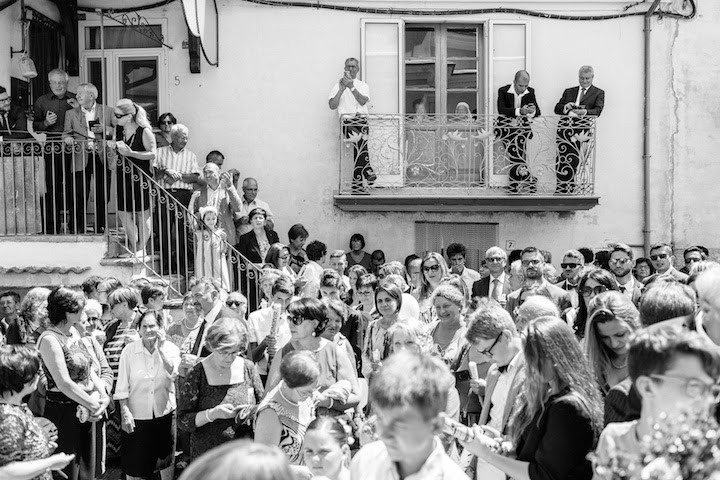 I was concerned about being a distraction, so I tried to anticipate the important moments and stood up to make a photograph when they appeared. The reaction from the family to this picture was overwhelmingly positive, which makes me feel good for giving them an image that they cherish. 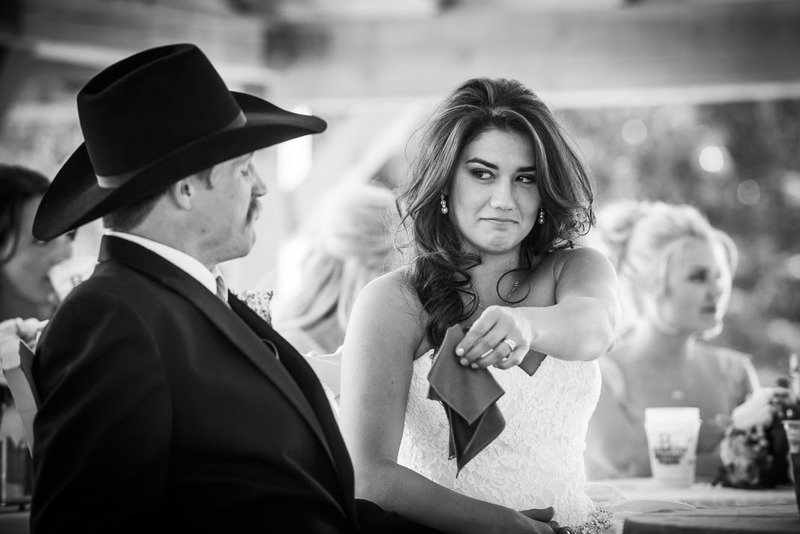 There's this stigma with lots of men that you shouldn't cry but in this case the tables are turned and the bride is handing her cowboy the tissue! Then you take into account the fact that our groom fights bulls for a living to keep the riders safe on the U.S. pro tour and you start to understand the connection this couple has with each other. You can see that he's trying hard to hold it together which tells much more of the story than if you could only see the back of his head. This was during toasts and they had just received a big gift from the bride’s parents that totally blew them away so I knew that even once they sat back down the emotion was still going to be there and I focused my effort on them completely while my wife photographed the next speaker. The look she's giving her new husband is so real. 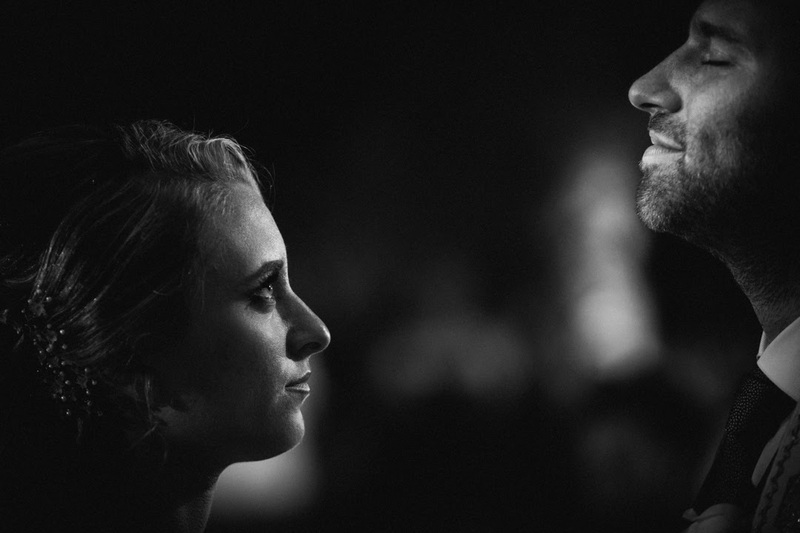 To me this is a split second of what true love really looks like in the throes of a chaotic wedding. This picture represents what was lived inside that church, love and full happiness. They chose that church and the exact date because it was the day of their virgin to whom they pray. The bride and groom gave me an insuperable moment, very intimate and emotional. You can not imagine what they really felt at that moment, no one can, just them. And that's what my photos want to reveal, real stories, true love, unique moments. As in previous years, we have been blessed to have photographed wonderful couples of different nationalities, races and cultures. And each and every couple and wedding enriches us in so many different ways. But the year 2016 had been marked by an expansion of our wedding photography experience to gorgeous corners of Asia, and shooting a Chinese couple getting engaged and then married on their own soil was particularly unique, and we feel truly blessed for that. I was leaving the bridal suite to go and join the groom ahead of the bride's walk down the aisle. I looked back and saw this frame in my mind’s eye. So, I crouched down and looked around for a composition that would make the most of the light and the reflections in the picture frames. I had to work quickly as I knew they were about to exit the room. 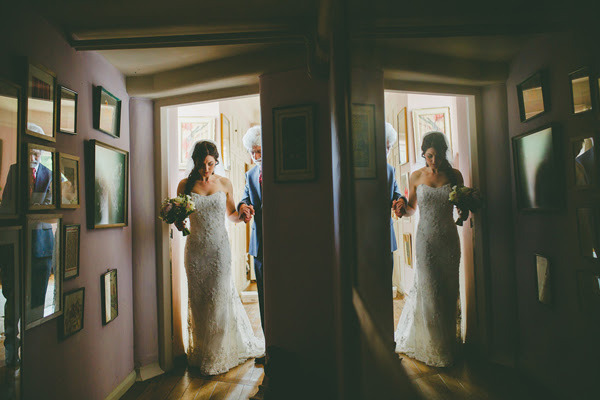 I had just enough time to meter the scene before the bride and her dad walked into the doorway, clearly in contemplative mind. A father escorting his daughter up the aisle must be one of the most bittersweet moments. As a father to a daughter, it near overwhelms me every time I see ‘that look’ in a father’s eyes. Tears of sadness and of joy. But even though I know it’s an important moment, I try to avoid setting up a time for dad to walk in on his daughter. There’s emotion in every moment – you just have to watch, wait and be prepared to capture it. If I can do that creatively, all the better for it! 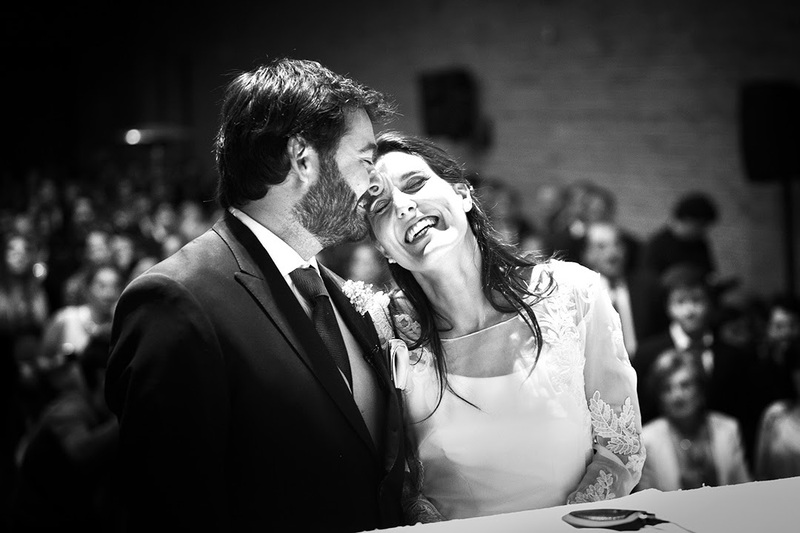 I chose this photo because I love the amazing way the bride looks at the groom. You can see the love in her eyes. It amazes me. I love pictures with a bit of mystery, that are completely natural and unique. This is one of those pictures which for me has all three of those elements. 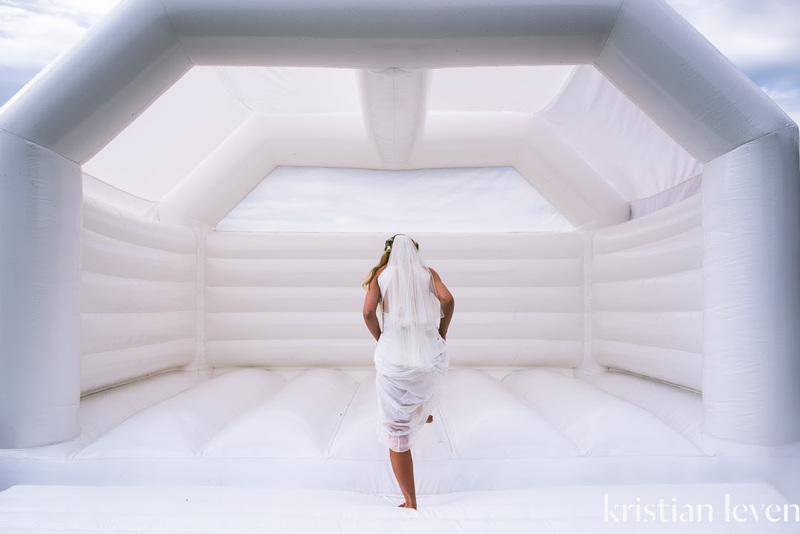 In this instance I followed the bride as she walked walked around her reception with her friends, and captured her as she made a bee-line for the Bouncy Castle. Isa was very nervous in the morning during the getting ready. Chris was very smiling and impatient to meet her. This picture is made during the reception where their souls were finally together and sparkling. Isa here is blurry dancing under a new light, Chris is the gate and the frame who welcomes her in their new life. 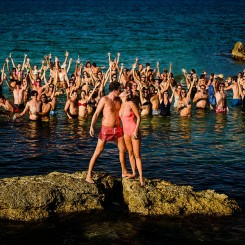 The inspiration was just their behaviour and the mood of the location they chose. The challenge was to describe them in an artistic way. This is my favorite picture of 2016 because photography shouldn't describe everything but leave our mind free to fly and dream and this let me dream a lot. I am dreamer and look for dreams in photography. One of the main reason this photo is one of my favorites of the year because it is a real moment. 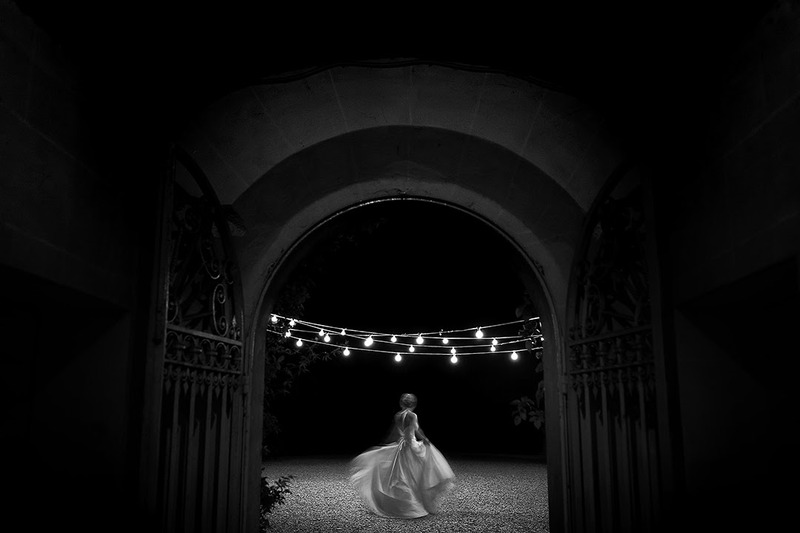 I photographed this image while the bride was looking through the window waiting for her husband. The truth is that you don´t know what exactly is happening with the bride. Her face is unusual, she is not smiling and looks worried. I love these things. 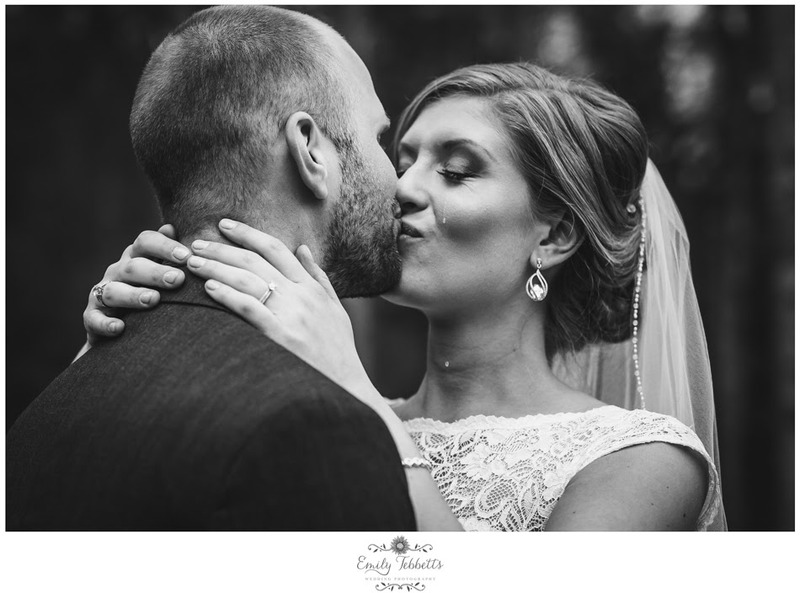 Over the years, I've come to realize that the most important element I'm pursuing in my work is capturing real emotion that illustrates the relationship between two (or more) people. I feel that I was able to capture that here. 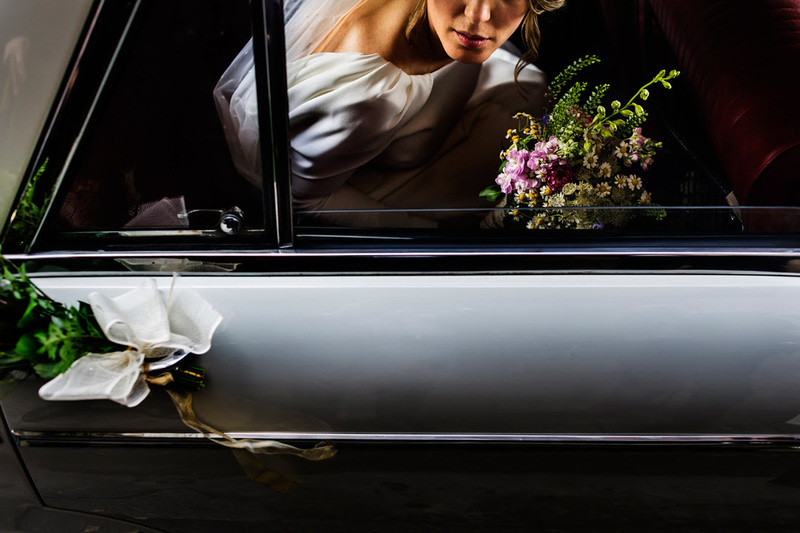 Wedding days go by so quickly for couples, often without much time to let the reality and gravity of the beautiful promise they've made to one another to sink in. Lately, I've tried to create a space for this reflection during couples portraits - often one of the only times they're alone together during the day. I asked these two to close their eyes and take a moment to think of all they'd been through together that led them to this moment, and then to imagine what the next 50 years looked like. After they opened their eyes, this beautiful moment happened. A tear on her cheek and one in the air. I hope they remember these sweet moments alone together and all the emotions, memories, and hopes for the future that came with it when they look back on this photo. 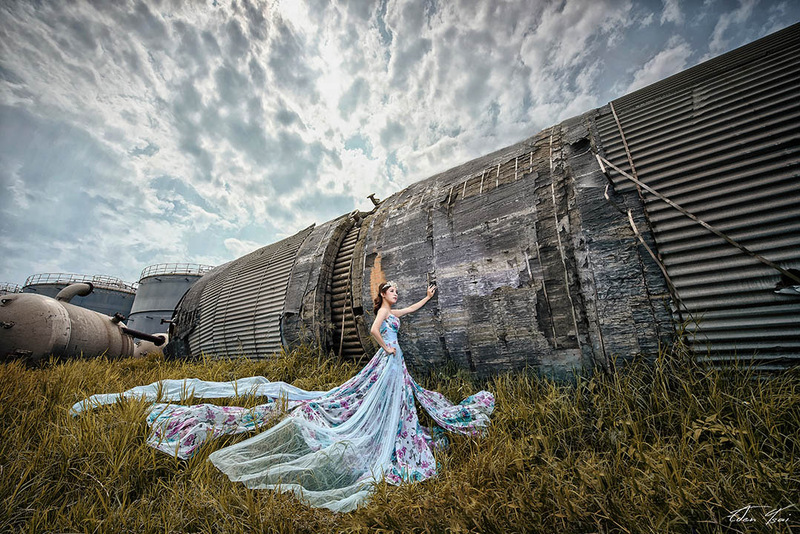 The inspiration for this photo came from abandoned factories. Our team discussed the plan and chose this location for the drama and the color. It reminded us of the atmosphere in a space station. This is my favorite photo of 2016 for what it represents: It is the right moment of the putting on the ring. I was going to do the typical picture of the ring coming onto the finger when I realized that the story was really behind the couple. I saw the sister of the bride was excited as she was watching the scene. For me that picture meant a lot: they were very close together because of their family history and had a very special relationship. I thought that for them it would be more important to capture this image and it was. 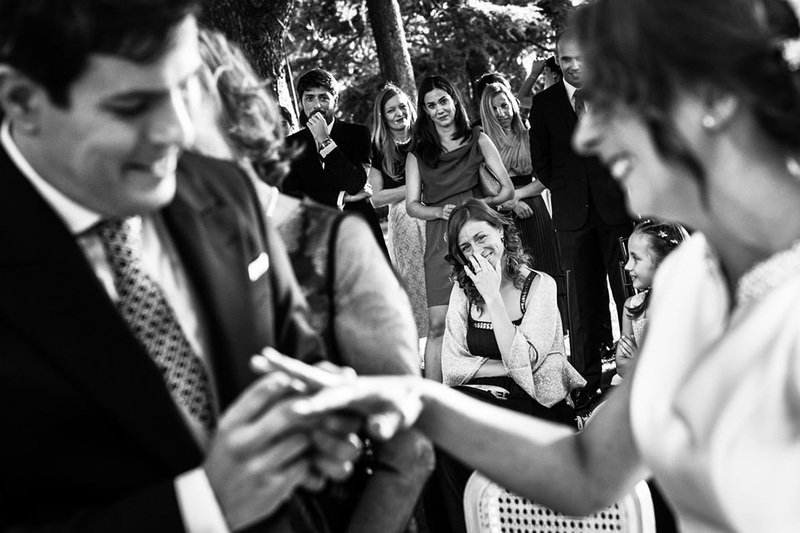 They were surprised to see it because the bride could not see her sister at that moment since she was concentrating on the groom putting the ring on her. In addition, you could see the friends of the bride and groom also excited behind. It is a real image of the moment, without poses or flashes, that's why I chose this as a favorite image of 2016. It is not so spectacular but it sums up very well what everyone felt at that moment. This summer in southern Italy I remember this warm day, and while leaving the church I captured this awesome picture. This is an image that sums up the elegance, tranquility, light, naturalness and spirit that summarize my work this year. It is done with natural light, in a landscape where I was lying on the ground, taking advantage of grass on the edge of a cliff. The couple was on a hill not much safer than where I was. The address was very simple: Dance and show your love. I took this image at my last wedding of the year. Every year I give myself an assignment to work on for that wedding season. I have been working this year on improving my night portraits. 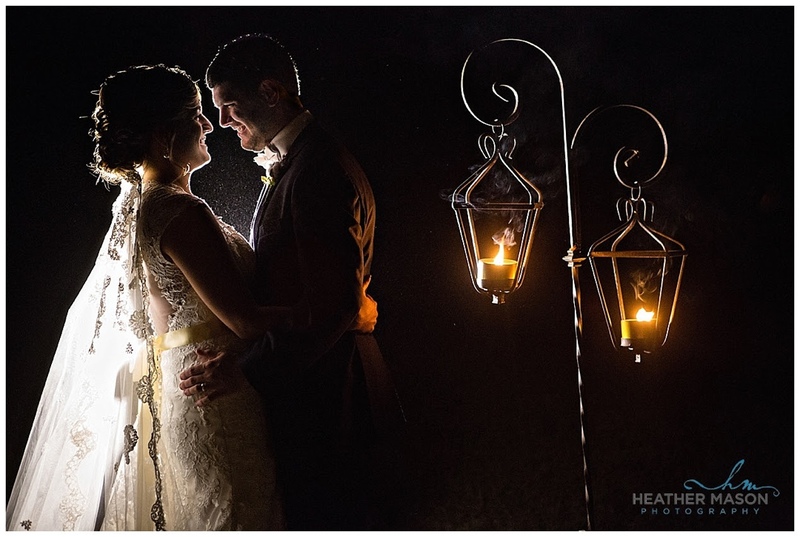 This couple was amazing to work with the entire day, and when I saw the lanterns they had in the parking area, I knew I wanted to use them. The couple traipsed across a field in the dark to get to the lantern, and we were waiting between cars leaving to get the shot. As soon as I took this photo, I knew it was the culmination of what I had worked for this year. Everything just came together for this photo. I had the sudden inspiration to add light, even though it was still daylight at the time. I wanted to be able to darken everyone else down. What I didn't count on was the enthusiasm of the Groomsmen in the front. They absolutely made the shot. This was a little risky because it was raining, and I was worried about our lighting getting wet. I like this photo best because of the story it tells. It's a perfect little moment in time, and I live for these types of opportunities and luck! The clouds are three-dimensional clear, rich layers. The upper part of the clouds slowly enveloped the lower part of the clouds. The clouds are very good predictors of the changes in the weather as if to tell people there is a storm coming. There is beautiful light from the clouds coming out of the prominent mountains, and the hills add a hint of mystery. Behind the characters there is a backlight to highlight the subjects. This created the perfect blend of people and landscape, but also highlighted the theme. 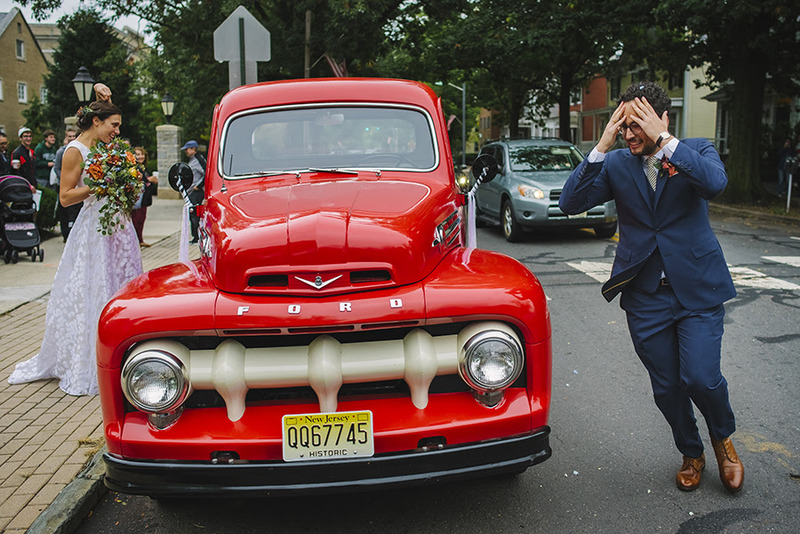 Sometimes, the wedding happens so fast that you forget your bride! 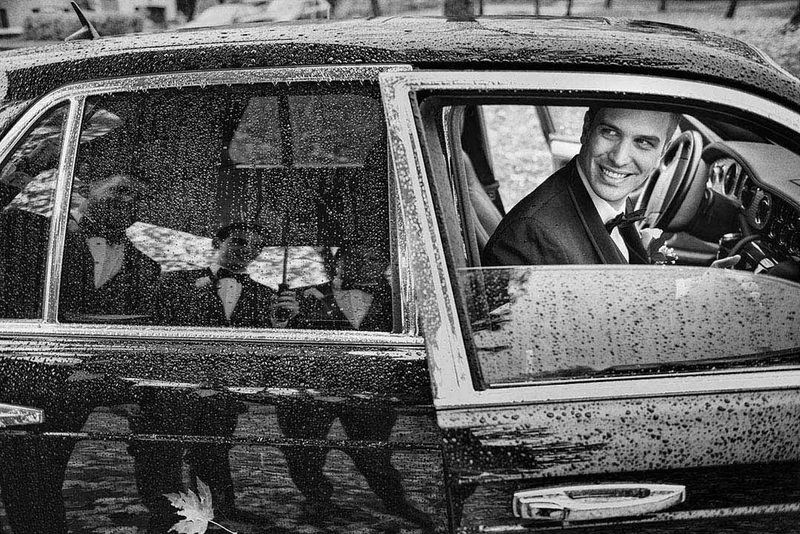 In this photo, the groom forgot to open the door for his new wife! Here is one of my the greatest moments of 2016. The image was chaptered on the end of the ceremony when the groom unexpectedly lost his patience before the first kiss to let the priest know "It's Time To Go Home”. Tara Theilen, what a great photo! Even though some people will say it was a lucky shot, you're right in that your anticipation and technical skills are what allow you to capitalize on the luck. Great work!